I was relieved that the winds saved themselves until the day after the Garden Fair, given they made their mark on the last of the sweet peas, broadbeans and stopped the cornflowers from feeling so cocky. But I wasn’t expecting a huge hailstorm to hit after I went back to Sydney. Fortunately one of the last things I did was net off the berry bed to stop the birds who have discovered the ripening gems, and they have been spared. 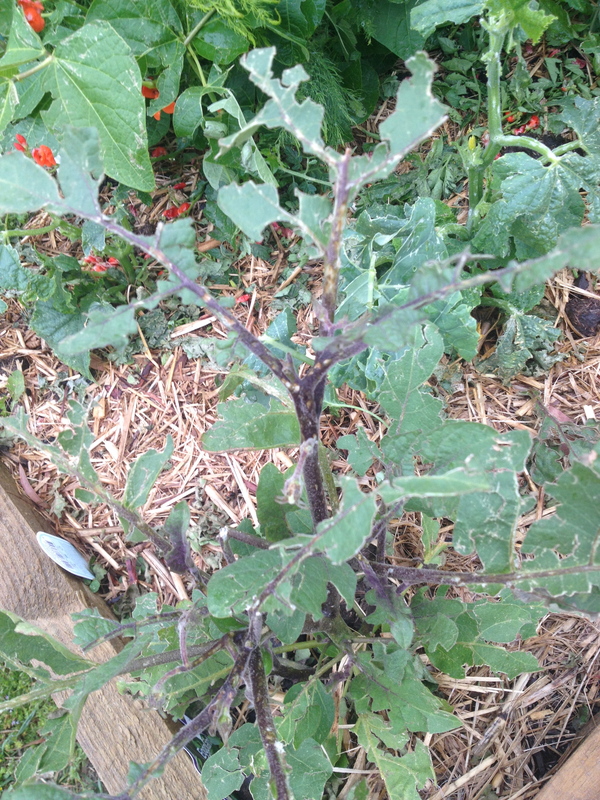 However anything with leafy growth has been massacred. 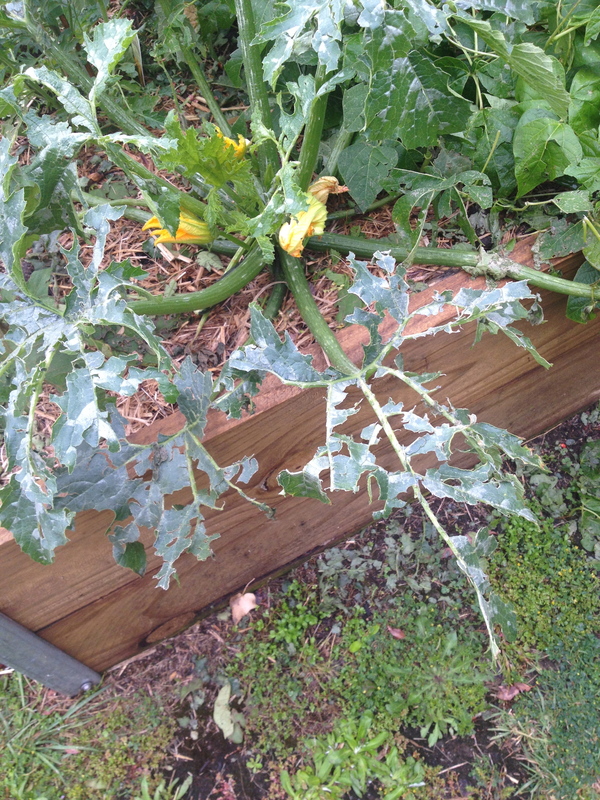 It looks like a plague of green caterpillars has eaten their way through my beds, but it’s all the damage from hail. 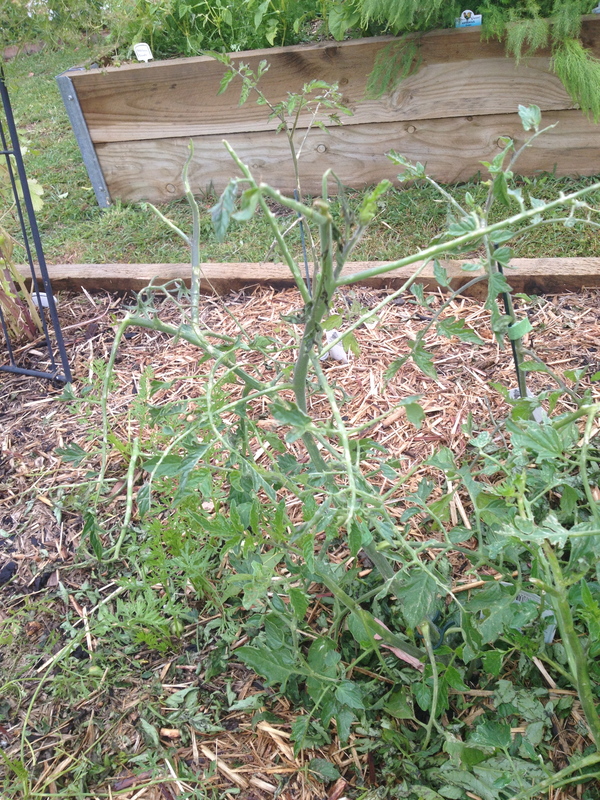 This time the damage is more widespread than the frosts. I’ll be replanting all the leafy greens like lettuces, spinach, rocket and can hope that the tomatoes just kick on and grow. But it’s disappointing to see the veg that were just beginning to establish themselves and fruit looking so stripped and bare. Moreso after so many attempts to get the cucumber and zucchini started and sourcing so many mini tomatoes. Fortunately most of the other plants in the garden seem to have been spared. Just the food crops took most of the force. Another gardening experience. I now have a bit of hospital work to do in the garden.